This guide shows you how to install PINN Raspberry Pi Zero, 1, 2, or 3. I used a Raspberry Pi Zero W for this process ($10). PINN is essentially a free operating system installer. PINN itself is free and the operating systems which it installs are also free (Raspbian Linux, RetroPie, RecalBox, Kodi, and others). 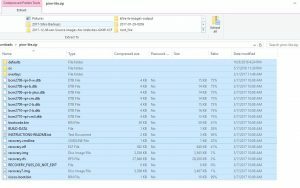 Just copy the contents of the PINN zip file to a Micro SD Card (only AFTER you format the SD card properly). Download PINN here (for direct download) or here (Sourceforge DL). 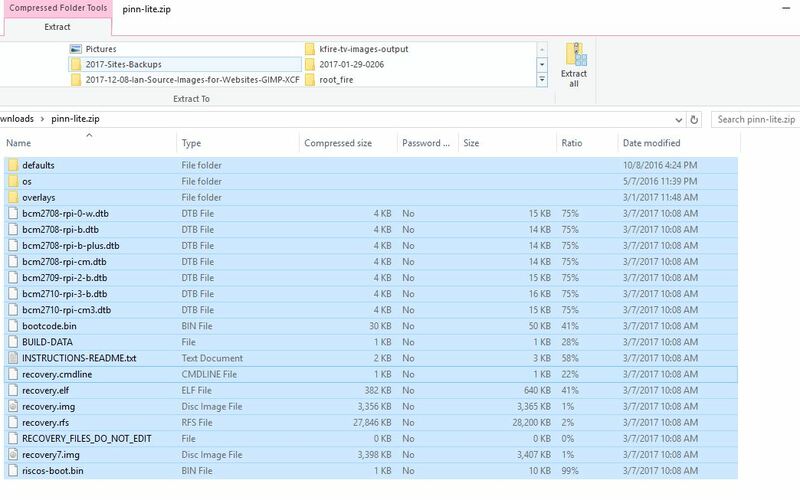 Put a Micro SD card in your computer (at least 2GB). Launch SDFormatter. 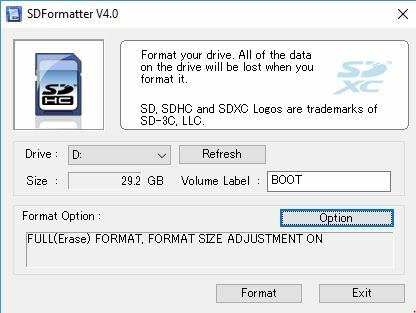 Then use SD Formatter to format your SD card. If you don’t format the card properly, it won’t work! Tip: I selected Option, then “Erase All” and “Size adjust” and it worked great! Format your SD card with SD Formatter (Free)! 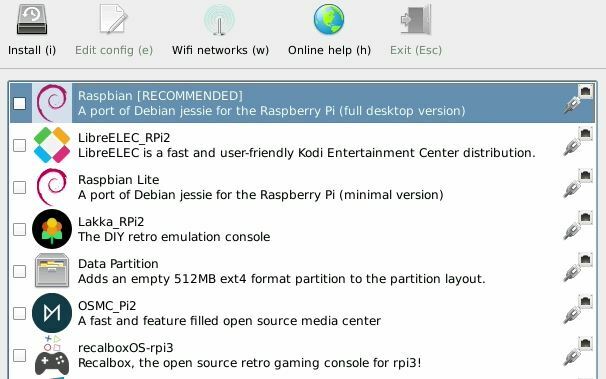 The YouTube video tutorial below shows you how to install operating systems like Kodi on Raspberry Pi 3 using NOOBS, which is very similar to PINN. Simply use the video below, but download the PINN zip file and extract it to your Micro SD card instead of the NOOBS zip file. Plug a mouse and / or keyboard into to your Raspberry Pi. Then plug in the power cord and HDMI cable. Wait for your Raspberry Pi to boot up. You should see a rainbow-colored splash screen first. Then you will see the PINN menu screen. If you have the Raspberry Pi Zero W (Wireless / WiFi edition), then PINN should display a “warning” that says it didn’t detect a Wired connection – and you need to connect to WiFi. Click OK if you see this then go to Step 11. However, if you have the Raspberry Pi Zero without built-in WiFi, then you will need to connect a WiFi adapter or Ethernet adapter and reboot, then continue. If you use an Ethernet adapter, skip to Step 12! Now select your WiFi network from the list of available WiFi networks and enter your network password. If you’re using a Wired (Ethernet) connection instead of WiFi, skip to Step 6. Then check the boxes next to the Raspberry Pi operating systems you want to install. We recommend starting off by just installing one single OS, such as OpenELEC (for Kodi!) or RecalBox OS for Emulators. Wait for awhile! Even on a fast Internet connection, this could take around 60 minutes or so. For me to download LibreELEC, RetroPie and RecalBox took about 40 minutes. Patience is a virtue. After the installation is complete, PINN will tell you “Installation complete“. Click OK when you see this message. Then check the box of whatever OS you want to be default (if you installed more than 1 OS). Now click OK / Reboot. You’re done! Your Raspberry Pi will now boot up into whatever OS you installed / selected! If you have WiFi built-in to your Raspberry Pi – or added via WiFi adapter – then keep in mind you will usually need to re-connect to your WiFi network after the Operating System boots up. Or at least you will need to do this the first time; then usually it saves your info. Out of the three major Raspberry Pi Bootloaders (NOOBS, BerryBoot, and PINN), PINN is the best! The PINN OS installer is my favorite Raspberry Pi bootloader because it’s the easiest to use, works with the Raspberry Pi Zero W (WiFi / wireless version), and installs all the great OSes I “need”. Generally speaking, PINN definitely beats NOOBS. Simply put, PINN has a more current and wider variety of operating systems than NOOBS. NOOBS is simply an operating system installer app that enables you to set up multiple operating systems on 1 Micro SD card. We also tried BerryBoot, but it was harder to work with due to the fact that it requires a Micro SD card AND a thumb drive (as far as I could get it to work). So PINN also beats BerryBoot. Have fun with your Raspberry Pi OSes! Good luck with PINN (which stands for PINN Is Not NOOBS, by the way). PINN is a fork of NOOBS (“New Out-of-Box Software”).